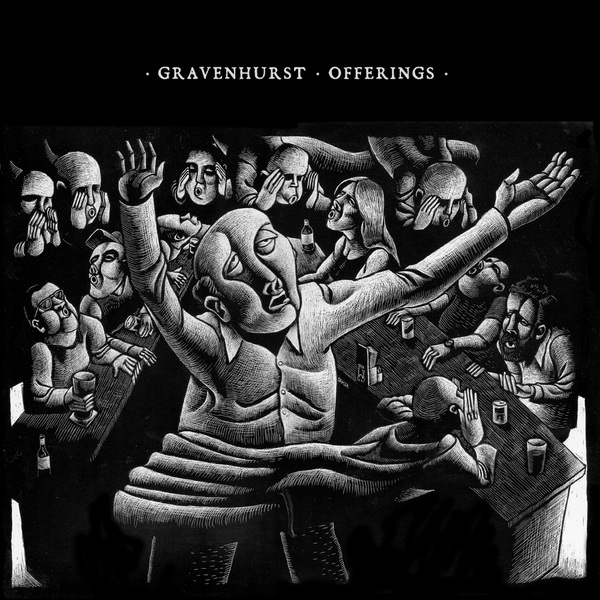 "A collection of unreleased recordings from the early days of Gravenhurst. Unexpected treasures found in the Gravenhurst archives whilst researching material for the tenth anniversary reissues of ‘Flashlight Seasons’ and ‘Black Holes In The Sand’. Comprised of two early demos that differ from album versions in intriguing ways and eight previously unheard songs, the result is a carefully selected and coherent collection. ‘The Citizen’ contrasts a lyric of urban alienation with an early demonstration of Nick Talbot aka Gravenhurst’s mastery of acoustic minimalism, while the strong narrative arc of the title track ‘Offerings’ contains the earliest incarnation of a recurring Gravenhurst theme: the indifference of nature and the folly of the human urge to seek spiritual communion with its destructive power. One of four diverse instrumental tracks, ‘Who Put Bella In The Wych Elm?’ provides a hypnotic soundtrack to one of England’s most unnerving unsolved crimes. Unable to recall recording some of these tracks, Nick describes the collection as a musical Mary Celeste; a vessel found captain-less and crew-less, with its cargo fully preserved after many years adrift."